The Puka Boutique Resort - Sankampaeng, Chiang Mai, Thailand - Great discounted rates! 8.5 out of 10 based on 142 verified user reviews via Agoda. The 4-star The Puka Boutique Resort offers comfort and convenience whether you're on business or holiday in Chiang Mai. Both business travelers and tourists can enjoy the hotel's facilities and services. Free Wi-Fi in all rooms, Wi-Fi in public areas, car park, room service, airport transfer are just some of the facilities on offer. Some of the well-appointed guestrooms feature television LCD plasma screen, internet access ?ÛÒ wireless, whirlpool bathtub, non smoking rooms, air conditioning. The hotel offers various recreational opportunities. Discover all Chiang Mai has to offer by making The Puka Boutique Resort your base. 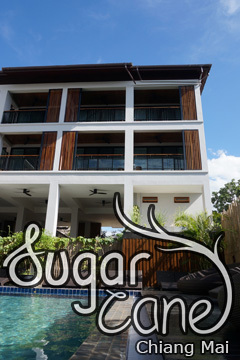 The Puka Boutique Resort - Chiang Mai classifies itself as a 4 star hotel.